Cholesterol Assay Kit (Cell-Based) (ab133116) includes filipin III, fixative, and wash buffer in a ready to use format. It provides a simple fluorometric method to study mechanisms and biological factors that regulate cholesterol metabolism or movement within cells. A cholesterol trafficking inhibitor, U-18666A, is included as a positive control. Cholesterol is both an important structural component of cell membranes and an early intermediate in hormone and bile acid biosynthesis. Cholesterol is not uniformly distributed among cellular membranes / organelle membranes, but rather there are structurally and kinetically distinct cholesterol rich and poor domains. Filipin III is the predominant isomer of filipin, the collective name given to four isomeric polyene macrolides isolated from cultures of S. filipinensis. Filipin is widely used as a probe for sterol location in biological membranes. Interaction with cholesterol alters the filipin absorption and fluorescence spectra allowing visualization with a fluorescence microscope capable of excitation at 340-380 nm and emission at 385-470 nm. Filipin’s ease of use makes it a convenient tool for the histochemical identification of unesterified cholesterol both in vitro and in vivo. Cholesterol is a waxy substance that occurs naturally in all parts of the body and that the body needs to function normally. It is present in cell walls or membranes everywhere in the body, including the brain, nerves, muscle, skin, liver, intestines, and heart. The body uses cholesterol to produce many hormones, vitamin D, and the bile acids that help to digest fat. It takes only a small amount of cholesterol in the blood to meet these needs. However, if you have too much cholesterol in your bloodstream, it can lead to atherosclerosis, a condition in which fat and cholesterol are deposited in the walls of the arteries in many parts of the body, including the coronary arteries feeding the heart. In time, narrowing of the coronary arteries by atherosclerosis can produce the signs and symptoms of heart disease, including angina and heart attack. HepG2 cells in response to 2 µM U-18666A. HepG2 cells were seeded in a 96-well plate at a density of 2.4 x 104 cells/well and cultured overnight. 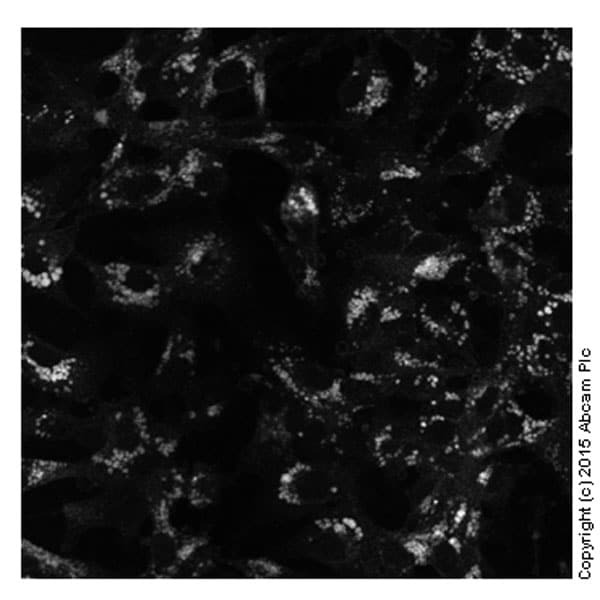 The next day, cells were treated with 2 µM U-18666A for 48 hours. U-18666A treatment for 48 hours induces intracellular accumulation. HepG2 cells in response to 1 µM U-18666A. HepG2 cells were seeded in a 96-well plate at a density of 2.4 x 104 cells/well and cultured overnight. The next day, cells were treated with 1 µM U-18666A for 48 hours. U-18666A treatment for 48 hours induces intracellular accumulation. 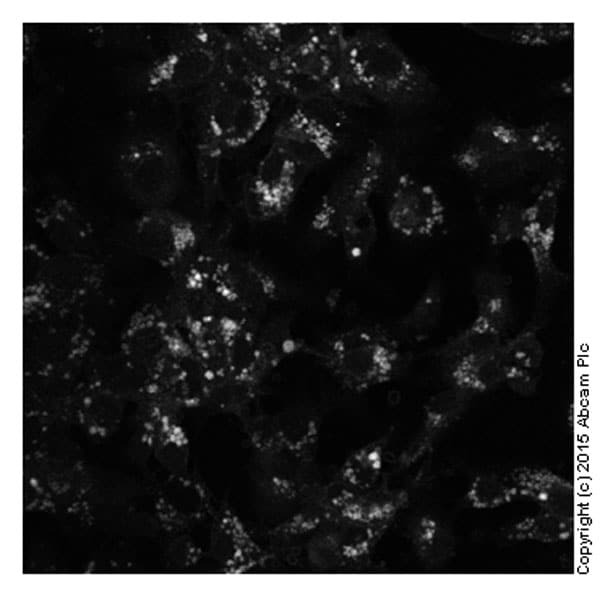 HepG2 cells in response to 0.5 µM U-18666A. HepG2 cells were seeded in a 96-well plate at a density of 2.4 x 104 cells/well and cultured overnight. The next day, cells were treated with 0.5 µM U-18666A for 48 hours. U-18666A treatment for 48 hours induces intracellular accumulation. 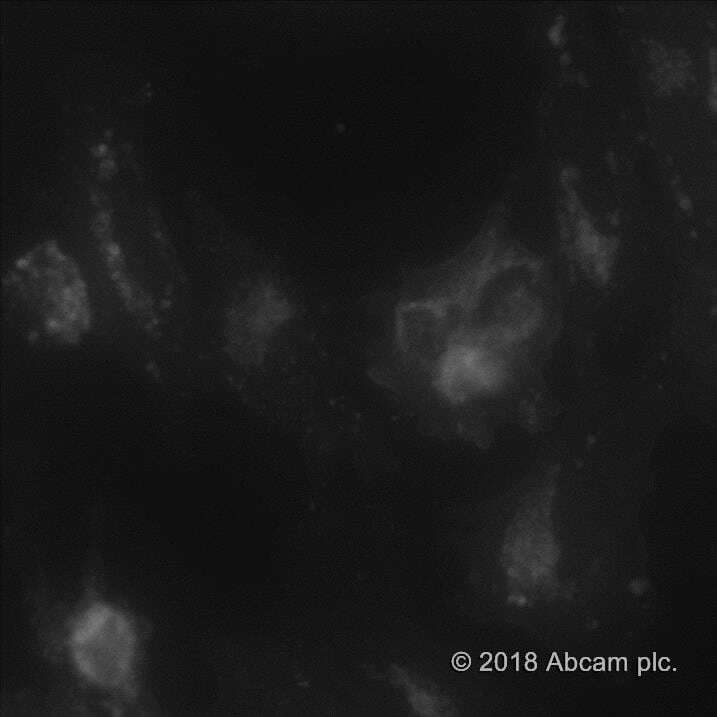 HepG2 cells in response to 0.25 µM U-18666A. HepG2 cells were seeded in a 96-well plate at a density of 2.4 x 104 cells/well and cultured overnight. The next day, cells were treated with 0.25 µM U-18666A for 48 hours. U-18666A treatment for 48 hours induces intracellular accumulation. Accumulation of cholesterol inside HepG2 cells - Control. HepG2 cells were seeded in a 96-well plate at a density of 2.4 x 104 cells/well and cultured overnight. The next day, cells were treated with DMSO (vehicle) for 48 hours. Cells demonstrate that majority of cholesterol is localized on the plasma membrane. Accumulation of cholesterol inside HepG2 cells in response to 1.25 µM U-18666A. HepG2 cells were seeded in a 96-well plate at a density of 3 x 104 cells/well and cultured overnight. The next day, cells were treated with DMSO (vehicle) or 1.25 µM U-18666A for 48 hours. Panel A: Cells treated with DMSO alone demonstrate that majority of cholesterol is localized on the plasma membrane. Panel B: U-18666A treatment for 48 hours induces intracellular accumulation. Cells were seeded in 96-well plate and cultured for 36h. Experiment has been performed by Julie Gamart, PhD.